Since we are giving away tickets to the FNB WhiskyLive Festival we have decided to do a few posts to get you excited! Chivas has launched a campaign aimed to get you to understand the link between Chivas and style. At the FNB WhiskyLive Festival Chivas will be giving visitors the opportunity to meet with a master-tailor who will provide insight into the craftsmanship of tailoring. Internationally Chivas have collaborated with Patrick Grant from Saville Row master tailors Norton & Sons on the Chivas 12 'Made for Gentlemen' Limited Edition. 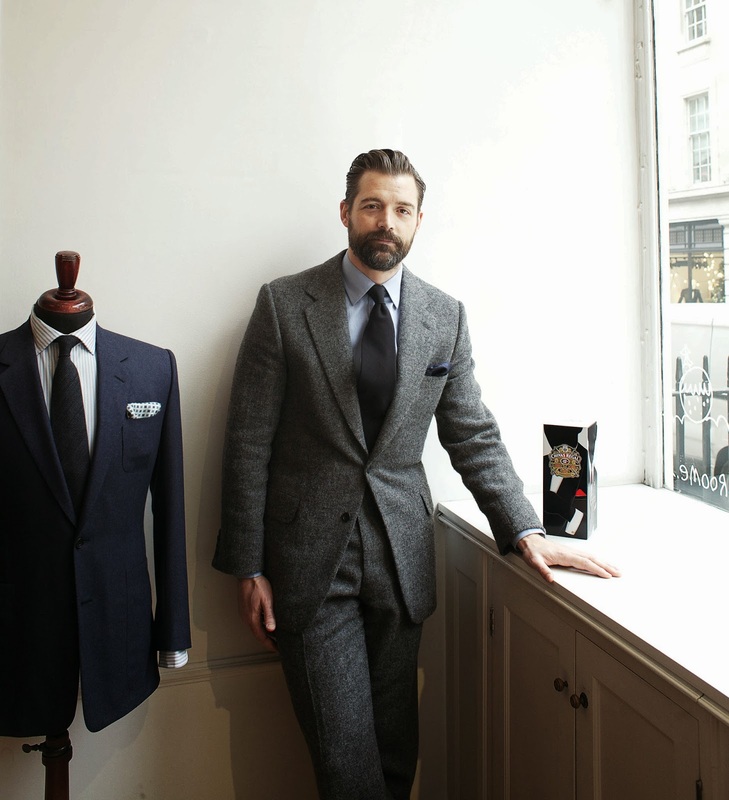 We bring you a few insights which Patrick Grant shared on his collaboration with Chivas, tailoring for gentleman, the role the suit plays in the modern gentleman’s wardrobe and how to succeed as a modern gentleman. There are so many interesting parallels between the worlds of whisky and Savile Row. To start with we share hundreds of years of heritage and what we do is rich in craftsmanship. A Master Blender serves a long apprenticeship and is then committed to perfecting his trade for a lifetime. In much the same way, a Master Tailor spends many years learning how to work with cloth on the human form and it will be 20 years before he is allowed to be called a Master. What we also have in common with Chivas is at Norton & Sons we create things that are genuinely special. We take our time over what we produce. All of these things drew me to the idea of trying to marry our two worlds together in a creative collaboration and it felt like an obvious fit. Both are led by one Master and that Master is ultimately responsible for everything that is produced by the House. At Norton & Sons the team look to our Head Cutter for knowledge and guidance on delivering excellence. In the same way, the Master Blender at Chivas is responsible for ensuring the consistent quality of Chivas 12 - it is his skill, his expertise and, ultimately, his taste that dictates the end product. Both Masters are deploying crafts that have been passed down from generation to generation while also ensuring contemporary relevance. Inside the pocket of a finished Norton & Sons bespoke jacket that has been overseen by our Head Cutter Stephen Allen you will find his hand stitched initials ‘SA’. It is this level of personalization and commitment to quality that Savile Row and Chivas share. We went back through menswear archives and pulled out sophisticated silhouettes and then overlaid each, using collage, the iconic staples of the modern gentleman’s wardrobe and the fabrics that might feature from Norton & Sons designs. We explored and played with details – bow ties came and went and we dabbled with the single versus the double-breasted suit. It’s an exploration of the ever-changing nature of modern menswear. The devil was in the detail and we were fastidious in ensuring every part of the tin was as accurate as possible. The scale of the patterns and the orientation of the cloth on different parts of the jacket had to be absolutely correct. Menswear is about precision and this is reflected in the limited edition tin. 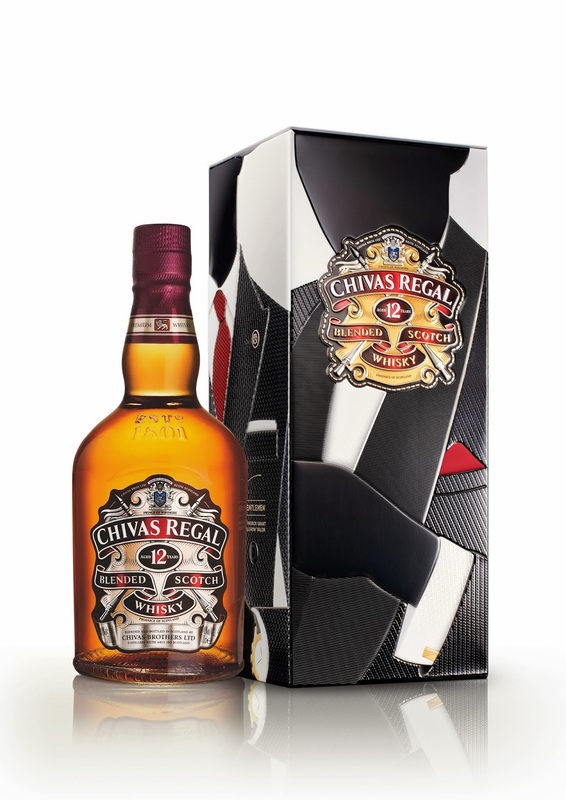 It’s visually arresting and distinctive, it tells an interesting story and it fits well with the luxury menswear themes being explored by the Chivas’ Made for Gentlemen limited edition series. We worked extremely hard on the look and feel of the tin and the final result is really good, down to the little details such as the grain on the cufflink. The same precision we put into all of our suits at Norton & Sons has been invested in the tin so I’m very happy with the final product. Many men have rejected the ethos of ‘dressing down’ that has dominated for such a long time and we’re wearing suits in a different way. Men are wearing more tailoring and they want their tailoring to do more for them. The suit is forming a route for men to more overtly express themselves in a way that they haven’t done for a long time and is no longer a ‘uniform’.The biggest trend in suit styles emerging at the moment is the return to much more exuberant, more intricate tailoring and the re-emergence of a lot of colour, pattern and brightly hued woven cloths. Sumptuous fabrics such as silks and velvet in eveningwear are very modern - it’s an interesting and exciting time. It’s evolving. For a long time the world has favoured a Western ideal of a suit first hit upon by King Charles II and then refined and simplified by Beau Brummel in the era of King George IV. 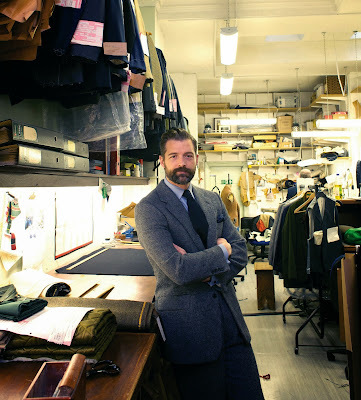 The suit has stayed with us for a really long time because it’s been able to reinvent itself. The suit plays a much more interesting and involved part in building a man’s wardrobe now. The suit can be anything – you can mix elements up - it doesn’t have to be that traditional jacket, waistcoat and trouser. The suit is enjoying a renaissance because it’s opened its eyes to its own possibilities. A gentleman is defined more by his demeanour than by his clothes. My Oxford college’s motto was ‘Manners maketh man’ and I think that’s an important part of being a gentleman. It’s about how you behave to others, being respectful, being thoughtful and understanding. The clothing can be part of that – the way you dress might well reflect the respect for the event you’re attending and people you’re meeting but, moreover, it’s about being thoughtful and taking care of those around you – that’s the essence of the modern gent. PS: Don’t forget to enter the Swag Craze competition to win tickets to the FNB WhiskyLive Festival!